While I did not unearth exactly what I was looking for, I nonetheless consider the attempt time well spent. Being the sort of person who would rather do things on my own, I first tried to find a way to get to Zatoka using public transit. No luck. I then investigated renting a car and driving out there myself, but abandoned that idea when I learned that my U.S. car insurance wouldn’t cover me overseas. I settled on hiring a Polish guide for the day, a move that proved to be the right one. I hired a gentleman named Andrzej (Andrew) Durman, a native of Kraków who has lived in Chicago and speaks both Polish and English fluently. 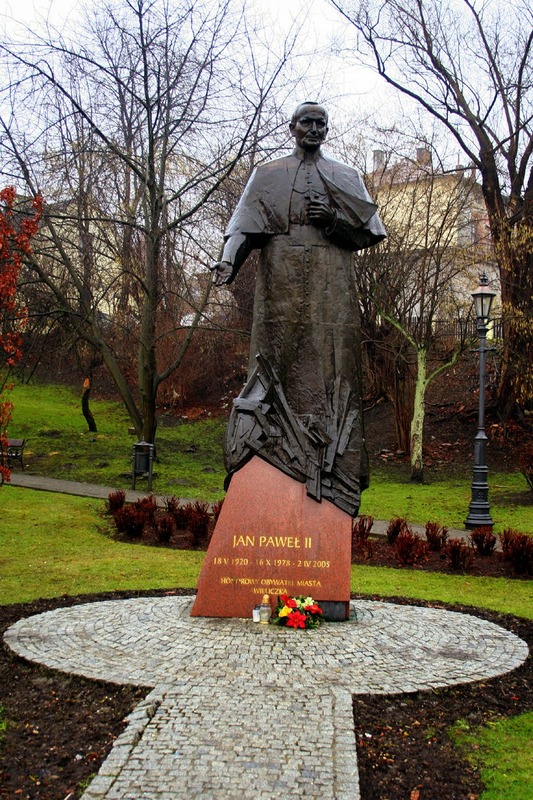 Now semi-retired, he is an active tour guide who operates under the name www.Tour-Service.pl. He is a researcher of roots, a gracious host, and generally a good guy to help you see and understand parts of Poland that you otherwise would likely miss. He collected me at my hotel at 8 a.m. on the morning we’d arranged and showed me several noteworthy sites from World War II and the Nazi occupation before dropping me at the Wieleska Salt Mine for my 9 a.m. tour. After the tour, it was off to Zatoka. As it turns out Zatoka is home to about 150 people who have farms of various sizes and other similar enterprises, including equestrian stables. Emigration from such communities, which are fairly humble today but were considerably more impoverished in the early 20th century, was quite common according to Andrew, so the few details I had about why my grandmother and her family emigrated to the U.S. made sense. Left to my own devices, I would have headed straight to the local church to examine birth or baptismal records. We’d get there eventually, but my guide took a slightly different tact. Driving along the narrow, often pothole-pocked, country roads, Andrew spotted a fellow tending his front yard. Stopping the van and calling to the man, he explained that we were looking for records of my relatives and did he know any families in the area with either my great-grandfather’s or great-grandmother’s surnames, Weglowski or Ploch (or Płoch as it might have been spelled)? The man said he did not, but explained that he had only lived in the area a few years. 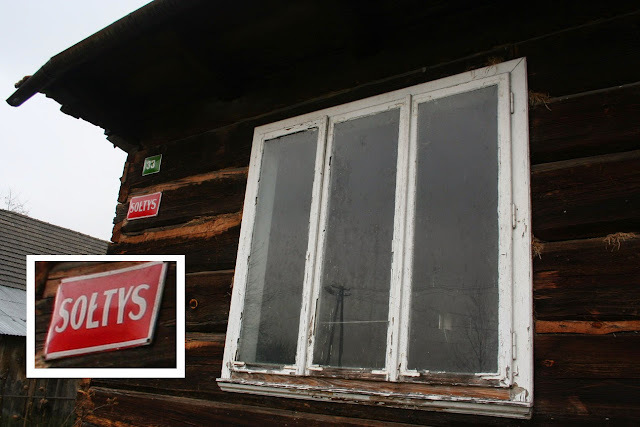 Continuing into Zatoka, my guide spotted a house with a red sign that read, “Sołtys,” which means “Mayor,” and indicated that the mayor of the town had lived there at one time. Parking the Mercedes van as near the side of the single-lane road as he could, Andrew hopped out and beckoned me to join him. Making our way to the back of the house, he rang the doorbell. To my surprise, the woman who lived there opened the door without asking who was calling or inquiring in any other way. Whether that indicates a difference between Americans and Poles or city versus country people I can only guess. Andrew introduced himself and me, explained that we were trying to find records of my grandmother who was born in 1895 in a town called Zatoka, then observed that the woman and I looked enough alike that we could have been brother and sister. Did she know of any families in the area with either the surname Weglowski or Ploch or Płoch? (The accent on the "ł" would render the pronunciation "Pwock"). “Nie,” (no) she said, but her 88-year-old mother, who lived three houses farther along the road, would be a better resource. Down the road we went, for the second time ringing the bell of a total stranger. The man who answered wore the clothes and had the rough hands of a farmer. He listened to Andrew’s explanation of our quest which, by this time, I was beginning to recognize despite it being in Polish. To my surprise, the farmer then invited the two of us into his home. Guests in Polish homes are often expected to leave their shoes at the door but our host did not, so we followed his lead then followed him to the family’s sitting room. 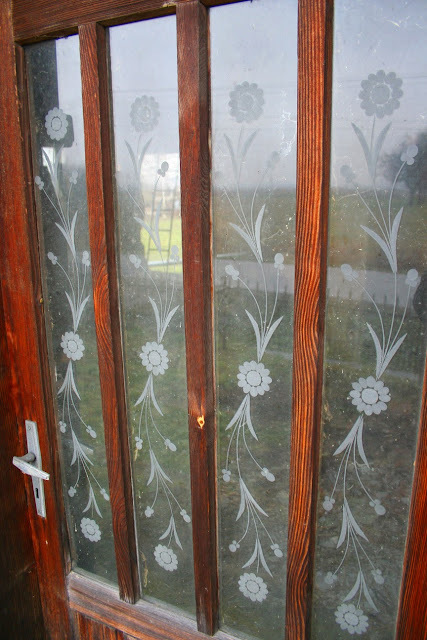 Furnished in a typical Polish country style with lace curtains and flocked wallpaper, it was replete with an image of Pope John Paul II, previously known as Karol Jósef Wojtyła. Born in the town of Wadowice about 50 kilometers west of Kraków, and having been the Archbishop of Kraków before ascending to the papacy, the late pontiff is the source of significant local pride. Again, Andrew explained our mission. The man’s mother did not recall any families with either surname, she was sorry to say. Such is the advantage of searching in a small community. In a larger area, there might have been many Weglowskis or Plochs or Płochs, but people in small communities tend to know their neighbors, and the names of my relatives were not familiar names. Perhaps the local church records would have the information I sought, she suggested, so it was back to the van and off again. At this point, I realized the wisdom of hiring a local guide. 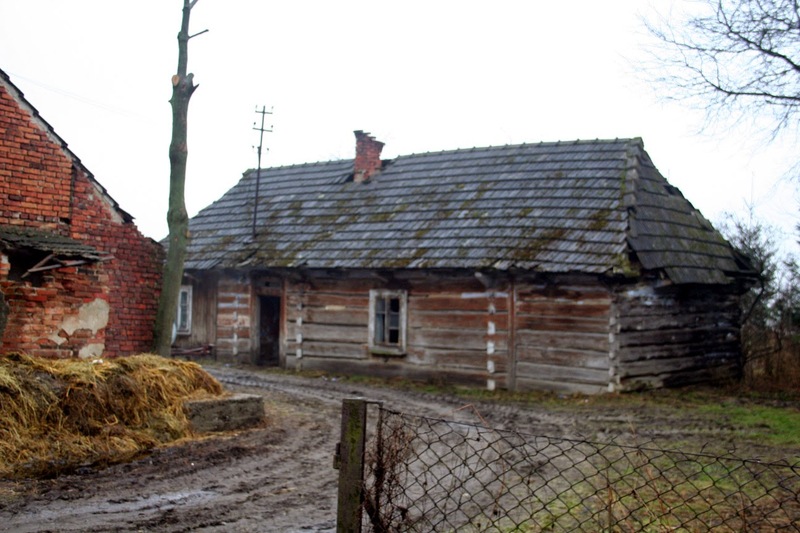 While many Poles who live in the larger cities speak English to one degree or another, the same did not appear to be true for those who lived in this small, agrarian area. While I was able to utter basic greetings, say “thank you” and “goodbye” in Polish, I’m certain I could not have mustered the words to explain what I wanted, and I expect the people we’d met didn’t rozumie po angielsku (understand English) all that well, if at all, either. On our way to the church, we passed a number of homes. Some were obviously modern while others, made of large hewn timbers fitted together with obvious craftsmanship clearly pre-dated either World War, according to Andrew. A short while later we arrived at the local Catholic church, the Sanktuarium Matki Bożej w Okulickiej, in the village of Okulice in the county Bochnia. Andrew spoke to the priest who, despite his advanced years and resultant slow shuffle, seemed energized by our request and quickly ushered us to the office in the rectory where the appropriate records were kept. He leafed through a stack of books obviously well over 100 years old to find the volumes that contained the records from the years around 1895. Again, it was fortunate the area was so small, as the list of entries in the parish’s baptismal record was relatively short. While the column headings were in Polish, the titles for first name, surname, and date were fairly obvious. More difficult than reading the printed Polish was reading the handwriting. At that time, without typewriters or computers, handwriting was used each and every day. Official entries, such as those in parish baptismal records, were made with a flourish that, while attractive, made them more difficult to read. Nonetheless, neither surname appeared anywhere in the book from about 10 years before to 10 years after the date I sought. The padre then retrieved the book with the index of parishioners’ names and confirmed there were no entries of either surname to be found there, either. However, he noted that it was possible that my grandmother had been born in one of the surrounding hamlets (as if an area of 150 residents is not a hamlet) and that another church the next prefecture over might be worth a stop. After insisting that the father accept a donation to thank him for his time and effort, it was back to the van and more wending our way along what were little more than paved paths through what was primarily farm land. Driving along, I noticed that religious shrines were virtually everywhere. Next to the road at one point was a simple crucifix, while a short distance down the road there was a small building housing a statue of the Blessed Virgin. Farther along was a statue of St. Florian, the patron saint of firefighters, and (of course) there were many more pictures of the late Pope John Paul II. Andrew explained that the shrines were put in place by those who worked the fields – almost all of whom were devout Catholics – so they would have convenient places to say grace before eating their lunches. The story at the second church, in the village of Mikluszowice, was much the same as the first. Though the priest was less enthusiastic, he was no less helpful and quickly retrieved the appropriate record books. A check of those records revealed the same thing as at the first church: no families with either surname lived in the area during the late 19th century. Not yet prepared to accept defeat, Andrew punched the name Zatoka into his GPS, which returned four such names. Although none appeared as bona fide towns on maps, he phoned local officials at the next larger nearby towns and inquired. 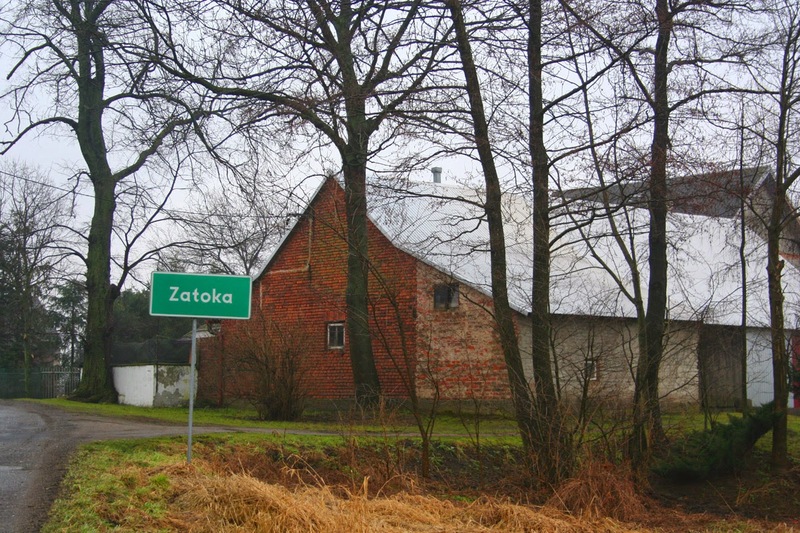 One such official suggested that, as occasionally happens, towns are renamed and perhaps the Zatoka that existed in 1895 was called by another name today, 120 years later. Another person advised that there had been a town called Zatoka in the administrative district of Narol in the county of Lubaczów in southeastern Poland near where the country meets Slovakia and Ukraine, but the town no longer exists. That scenario seemed to fit what I knew about my grandmother and several other things I’d been told over the years. Although I’d only been in Poland a matter of a few days, I had learned that the type of pierogi or dumplings my grandmother made were called Pierogi Ruskie or Russian pierogi, with filling made of mashed potato, cottage cheese and cream cheese. If she had in fact spent her first 16 years or so near the Russian border and learned to cook from her own mother, a Russian influence would make sense. I have also been told that the little bit of Polish I speak seems to have a Russian accent. Because I learned most of what I know from my grandparents, that also makes sense. Upon returning home, I dug more deeply into my records and unearthed a scrap of paper upon which I had written “Zatoka, village near Lemberg or Lwów.” While I can’t remember precisely when I made the note, it was clearly the result of a conversation with my parents, which would have been well before their passing in 2008. Lwów is the Polish spelling for the city of Lviv, which is now in what is western Ukraine. It was a major population center of what was called Austrian Poland from 1772 to 1918, during the Habsburg dynasty. My grandmother emigrated to the U.S. in 1911, so the note that she was born in “Zatoka, Poland” was accurate, though the area around that particular Zatoka is no longer Poland. Google Maps shows a town called Zatoka, or Затока in Cyrillic, about 30 kilometers west of Lviv. Wikipedia’s Russian edition indicates it has a population of about 400 residents. Some time later, I obtained a copy of my grandfather's Petition for Naturlization, which listed his birthplace at Zatoka, Lviv, Poland, which is now in the Lviv Oblast, Ukraine. My grandmother's birthplace is listed as Widelka, Poland, a town about 160 kilometers west of Zatoka and still part of Poland. Because I had been barking up a tree about 275 kilometers west of the right one, I came home without having seen the actual records of my grandmother’s birth and without seeing where she lived during her childhood. What I did bring home, however, may be far more valuable. I brought home the memories of meeting people who welcomed me warmly, invited me into their homes and were willing to help a total stranger in whatever way they could, perhaps due to our shared heritage but certainly despite our lack of a shared language. I brought home lessons learned about how a simpler people held steadfastly to their faith and devotion in times that were less complicated in some ways but certainly more conflicted in others. Finally, as on every trip I have taken abroad since my first in 1987, I have once again seen people willing to set aside whatever political or cultural differences may exist and relate to each other based on the similarities we share as individuals. That never fails to reinvigorate my faith in humanity. Don't make any assumptions of relations with Russia basing on "Ruskie Pierogi" - it is as popular Poland-wide as French fries in the US (not indicating French origin).